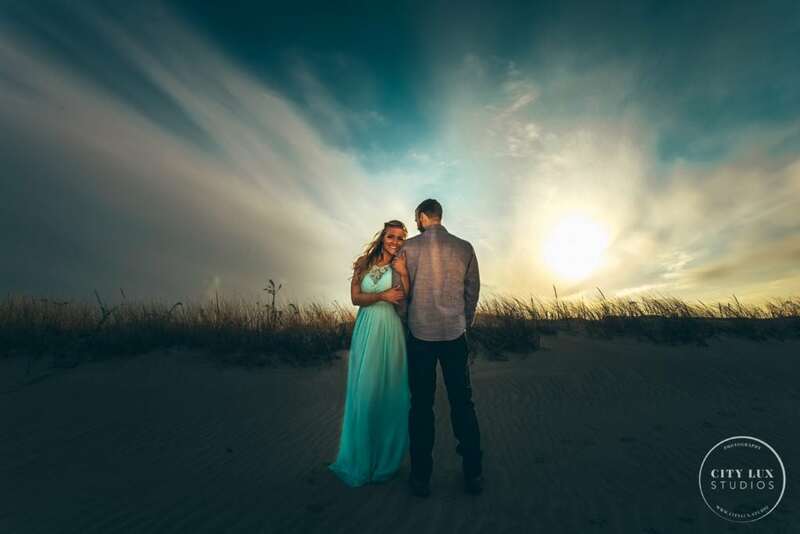 Brides and Grooms always worry about weather and photography on their wedding day or the weather for an engagement photo session. Most are also concerned about the time of year and how that will impact the photography. Many people are told that bad weather makes good photos, that is true sometimes, but to be honest it really depends. You should have realistic expectations for the time of year you pick for your event and also the weather and light. A lot of this comes down to the light. Trying to create summer looking bright and airy photos in the dead of winter is difficult, mostly because of limited light, limited colors, and clothing choices. It is not impossible though! The image below was taken in December in Ipswich Massachusetts and many of the photos from that day look like they could be in the Summer. 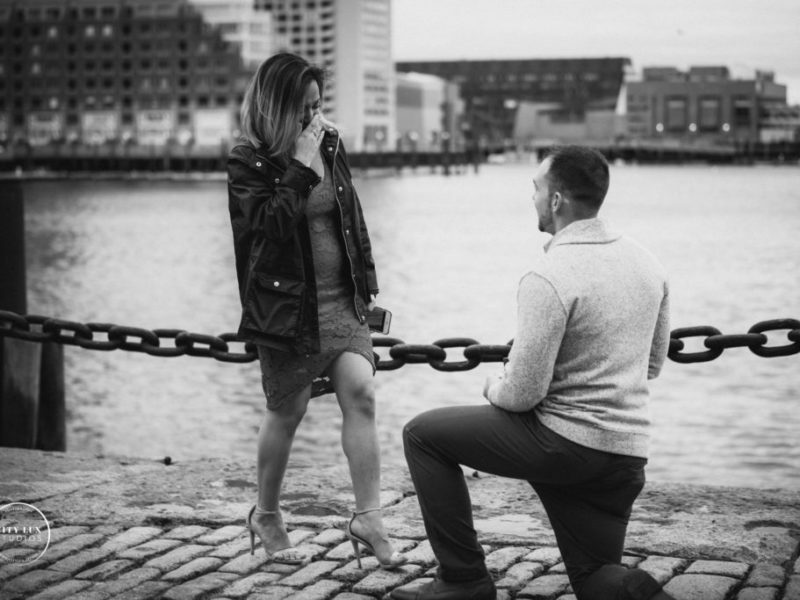 The couple was willing to be freezing in the cold to get the shots. It was cold and somewhat cloudy, but some sun poked through during the day at times. The bride-to-be went for a spray tan which helped a lot. The image is also heavily edited to create the dramatic look. So with planning and some luck all sorts of images can be created. But anytime of year where the sun is down or blocked by clouds it will limit the natural light that most lenses love, so it would be a lie to say there are not some challenges. 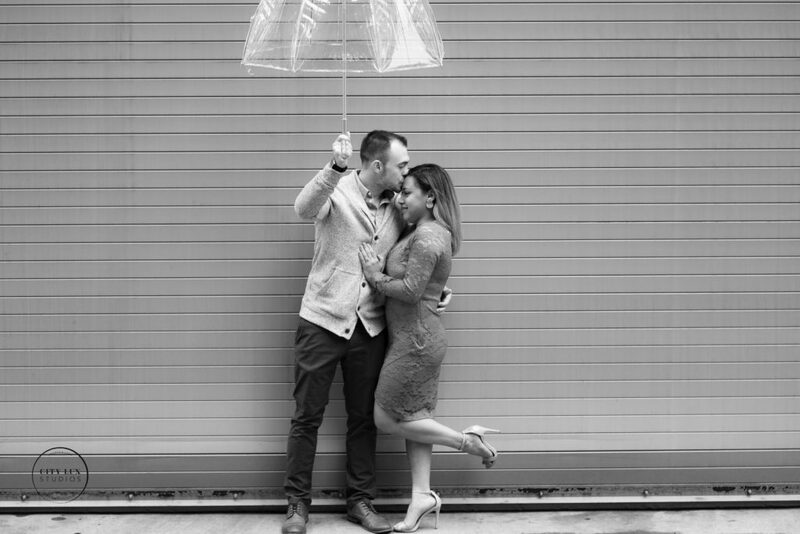 That doesn’t mean that great images can’t be created on a rainy wedding day or cloud covered engagement shoot. It does mean that those perfectly styled shoots you saw in a magazine might not work for your situation, or it will be more of a challenge to create those looks. Your wedding photographer will most likely try to work with what light there is, or flash lighting to create the mood and look that they can. They also might edit things a little different to create a look that goes with the light, time of year, and the weather that day. Editing can be where much of the look, mood, and overall feel comes into the engagement or wedding photography. Sometimes the sun can actually be too bright depending on the location and the couples clothing and skin tones so cloudy is not always bad. 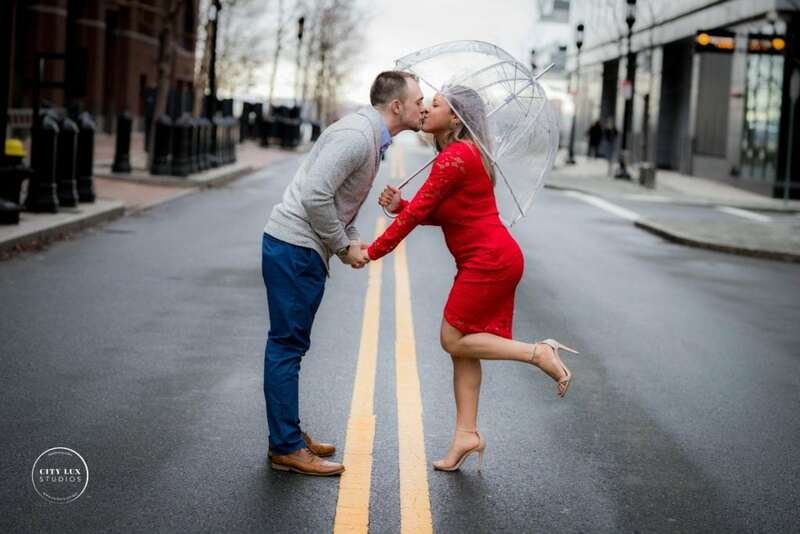 A rainy wedding or engagement day can also be made to look unique with props like umbrellas, boots, and for the daring couple some photos right in the rain just getting wet. We have seen many amazing photos from different photographers in those situations. It takes some planning and some vision to changes things up a day before but it can be done. 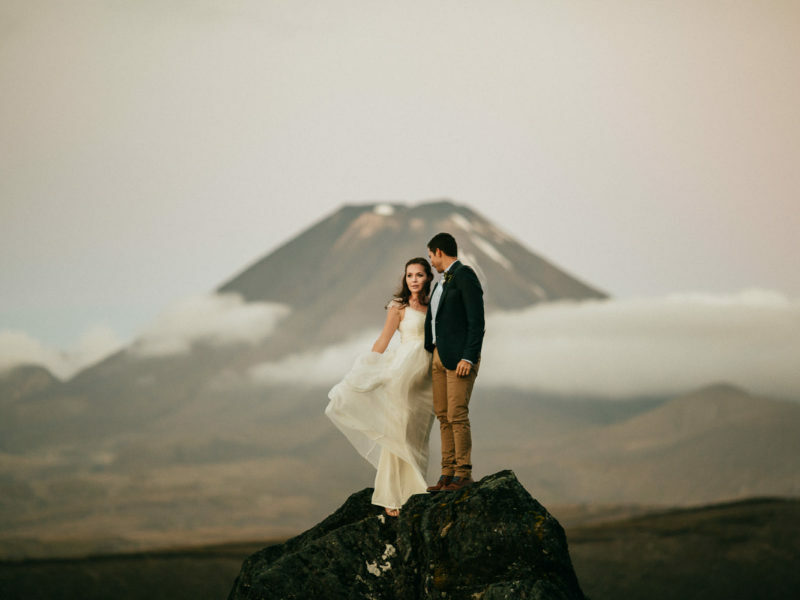 There are always different trends with engagement photography or wedding photography from year to year. Just hop on Instagram and you can see dark and moody romantic looks, bright and airy, matted looks, and all sorts of other ideas and trends. Some of these are better suited to certain times or year or weather.